When a city has eight killings in two days, including the death of a 7-year-old boy, something is seriously wrong with the system. That’s what Chicago’s police chief said after a spate of bloodshed that tormented the city over the weekend. Take, for example, the death of 7-year-old Amari Brown. McCarthy said the boy was the unintended victim of a bullet meant for his father, a ranking gang member. The system failed Amari, the police chief said. Amari’s father, who has been arrested 45 times and has a lengthy criminal record, should not have been on the streets, McCarthy said. Existing laws, McCarthy said, made it easy for the man to get out of jail the day after he was arrested on a firearms charge in April. “If Mr. Brown is in custody, his son is alive,” McCarthy said. According to McCarthy, the father isn’t cooperating with investigators looking into his son’s killing. At a vigil Sunday for Amari, family friend Michael Singleton told the media that unless real changes are made, the cycle of violence will continue. “All of you all will be back out here next week, on another corner, filming the same thing, from somebody else, saying exactly what I’m saying,” he said. Even with a 30% increase in the number of police on the streets over the holiday weekend, seven people were killed between Friday morning and Sunday afternoon, the superintendent said. 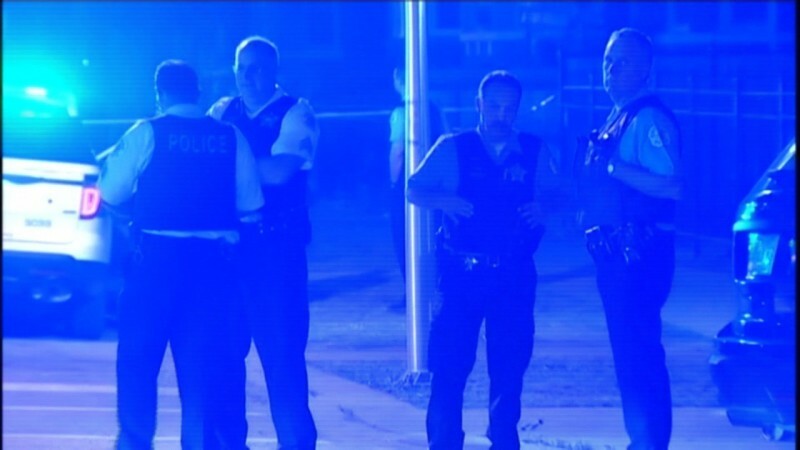 Another 40 people were wounded in weekend shootings, McCarthy said. And since Friday morning, Chicago police have recovered one illegal gun per hour across the city, McCarthy said. “We must stem the flow of guns into the city,” he said. This year’s statistics may sound staggering, but compared to last year, the number of violent incidents is down. For the same period in 2014, there were 64 shootings, 69 nonfatal victims in those incidents and 15 slayings. McCarthy said he is incredibly proud of the men and women of his department amid the challenges they face every day.